If you want to know more about our procedures or the policy, please speak to the Headteacher or your child's class teacher or Lesley Hemingway (lmhemingway10@gmail.com) who is the Governor with responsibility for Child Protection and Safeguarding. Teaching our children to be safe is of paramount importance. We aim to provide the children with the knowledge and life skills to make informed choices both now and throughout their lives. E-safety is a focal point for the whole school and reinforced continually including participating in the annual E-safety day. Our School's IT provider Primary Tech have provided several leaflets that you may find useful when discussing how to stay safe on line with your children. Conversation really is key to staying safe. EYFS - safety is taught through a range of activities some include: using scissors correctly, sitting on chairs properly, crossing the road safely, making sure the children are aware of stranger danger and the importance of medicines being stored and used safely. Year 1 - We've looked at safety indoors and outdoors, Stranger Danger, road safety, cooking safely and the importance of food hygiene. 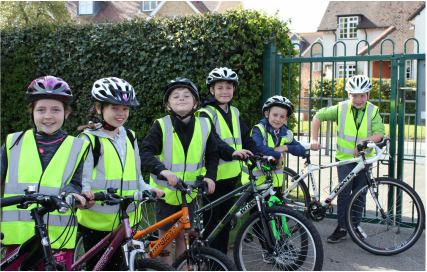 Year 2 - Have taken their safety undertstanding deeper. Looking at what it means to feel safe and what does risky mean, how to make sensible choices to avoid danger. We've looked at who we should trust and also water safety was covered whilst we were pond dipping. Year 3/4 - We've considered the importance of keeping their bodies safe from harmful substances and how to make safe choices, focussing on alcohol and cigarettes. Year 3 undertake Pedestrian training, with Year 4 taking this a step further by completing scooter training. Year 5 - We've been looking in more detail at the risks of alcohol and smoking, and looking at the need for drugs for medical purposes, reinforcing the importance of making the right choices. Year 5 look at life style choices to ensure they keep their bodies fit and healthy. 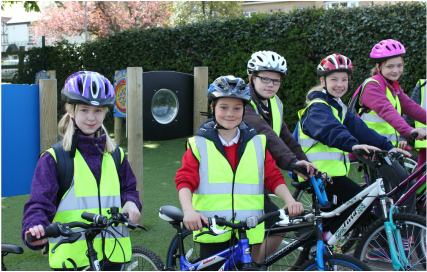 Bikeability training is undertaken in Year 5. Year 6 - The residential trip gave many opportunities to consider making the safe decisions in relation to water safety and risk taking. Taking drug safety to the next level we consider what is substance misuse, what we need need to know and where can they get information they can trust?